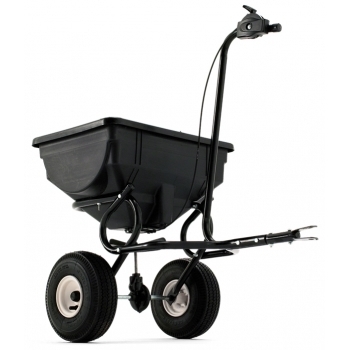 Broadcast Spreader for fertilizing, seeding, weed control, ice melter. 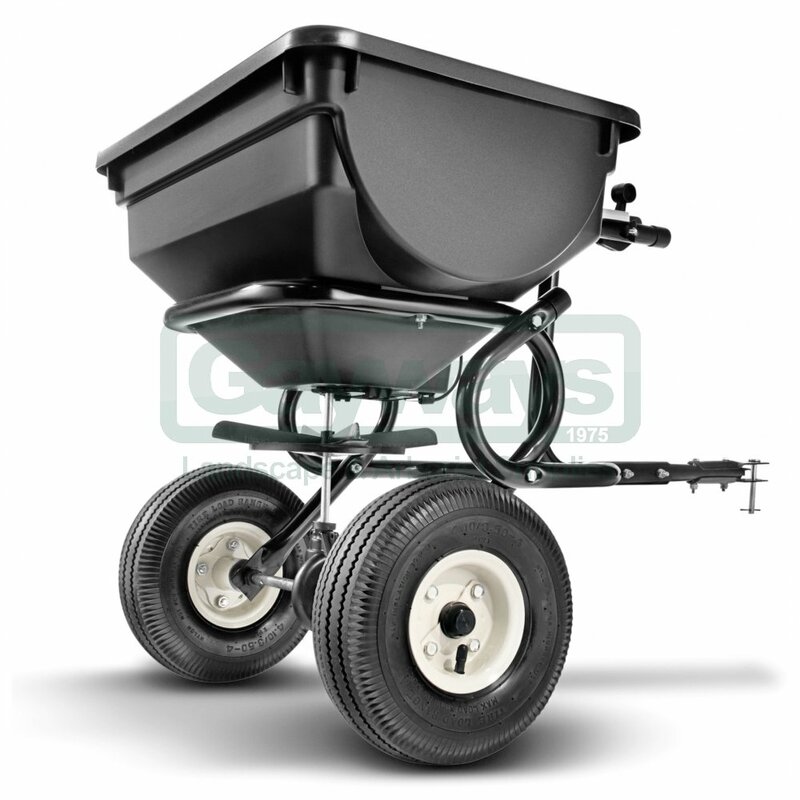 Large 25cm x 10cm pneumatic tires. Broad spread pattern. 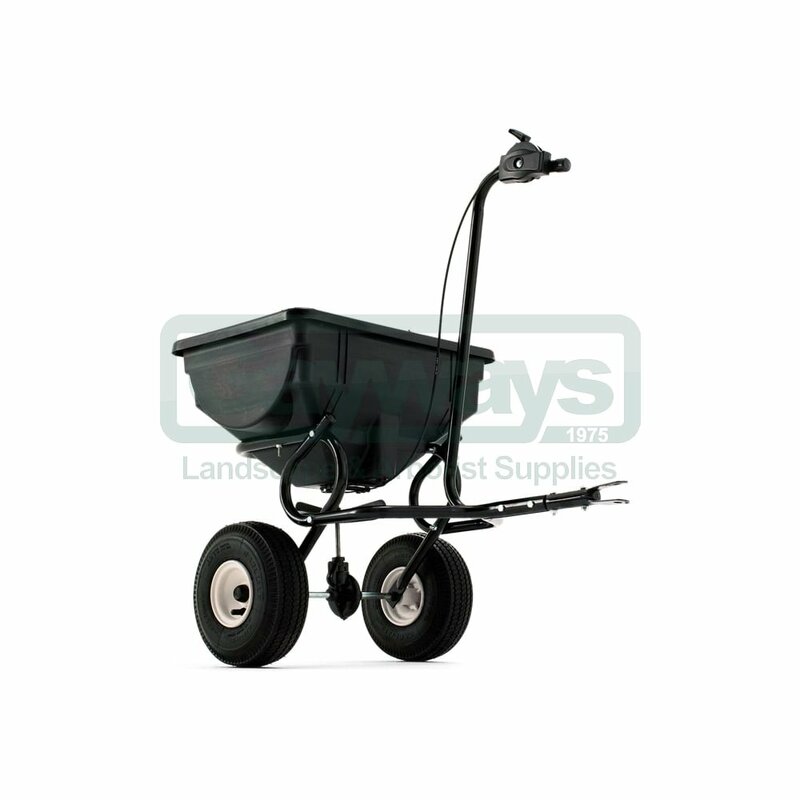 39kg capacity hopper. Attachment pin included. Carton dimensions: 59.7 x 40.6 x 32.4 cm. Package weight 8.6 kg FOr 200-400 Series Out Front Riders & All Tractors.